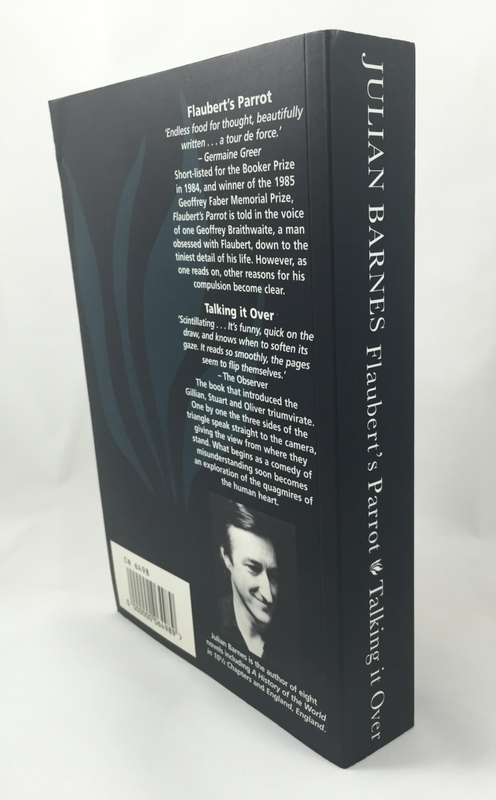 Notes about this edition: Julian Barnes. 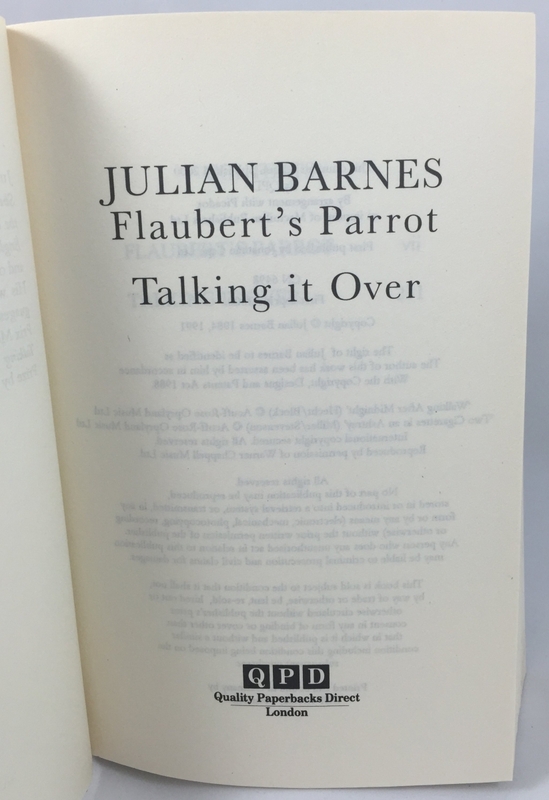 Flaubert’s Parrot | Talking It Over. 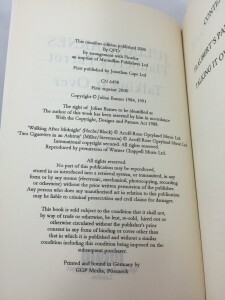 London: Quality Paperbacks Direct, 2000. Pp. 498. 19.7 x 12.6 cm. 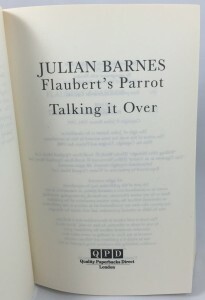 Quality Paperbacks Direct issued this “omnibus” edition of Julian Barnes’s novels Flaubert’s Parrot and Talking It Over in 2000, the same year Jonathan Cape released Love, etc, Barnes’s sequel to Talking It Over. The cover replicates artwork for Talking It Over, as the book likely sought to capitalize on the sequel’s release. 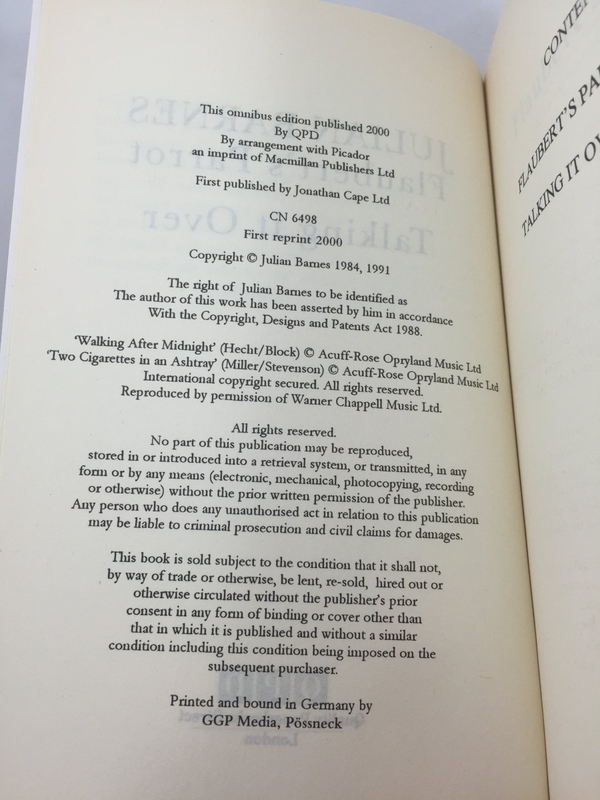 Barnes’s paperback rights were managed by Picador at the time of publication, as QPD notes on the copyright page. The book’s table of contents lists Flaubert’s Parrot as beginning on page ‘vii’ and Talking It Over on page 231.